Find your perfect ski holiday with Independent Ski Links. 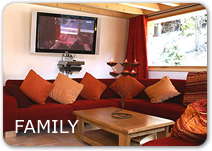 Catered chalets, hotels and apartments are all available for your family ski holiday or group ski trip with friends. The best ski deals for 2017/2018 are out now. 2 for 1 Lift Passes in Tignes and Val D'Isere! 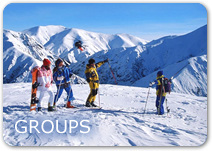 Free group leader lift pass. Family ski pass deals in the 3 valleys and across the Alps. Book an area pass and get 2 for 1 skis/board/boots or ski carriage. Buy One Get One Free - Applies to lift passes when booking Grindelwald, Murren or Wengen. If you fancy something different then just let us know. We can book accommodation only if you want to make your own way to resort. We have accommodation only catered chalets and self catered chalets available. We also have access to hotels, apartments and B&B options. If you want luxury, standard or budget then we have access to a huge amount of properties. Just let us know your specific requirements and will will send you some options. This will save you from spending hours online. Let us do the hard work and get the best ski deals and savings for you! Save up to £411 per person! Ski or board hire. Ski carriage can be booked instead if you prefer to take your own gear. Get your pick of resort, property and regional flights. Lift pass offers, group discounts and more are available for you when you book early. All you need to do is pay the deposit at the time of booking then the balance is due 10 weeks before departure. We had a great holiday. We were very pleased with the apartment and would seriously think of renting it again next year if it were available. Great location and nicely furbished. Thank you very much for making our holiday possible - no other agent was prepared to even consider investigating the possibility of a holiday from Wed to Wed.